Whether you are dreaming about a spectacular new kitchen or bath, wood floors that make a grand statement, or simply bringing back the luster that has faded (from your kitchen, bath, office or family room cabinets), St. Croix Cabinet Solutions has options for every budget. We are here to assist you with custom cabinets and countertops in Hudson that will make your home stand out. When it comes to your home, we believe you shouldn’t have to start with compromises – not on quality; not on customer service; and especially not on your dreams. If you have been told that your budget won’t allow you to get the custom cabinets of your dreams – or that you can get the cabinets but have to wait for new appliances or have been subjected to high pressure sales tactics– then you have come to the right place. We invite you to explore our website and let us know if we can answer any questions or provide more information. If you don't see what you are looking for please call & ask - our website has some, but not all of the many custom options available. A great example of that is did you know that we also can install a Murphy Bed for you? Murphy beds are great options when you have a bedroom that you would like to still have a bed for guests when they come over but would like the extra space when nobody is there. 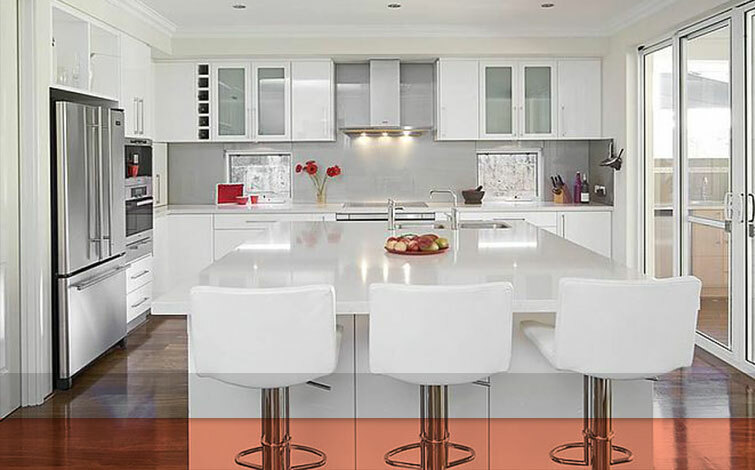 From cabinet replacing to cabinet refacing to custom kitchen designs, our team is the one to call for all your custom kitchen and cabinet needs in Hudson.